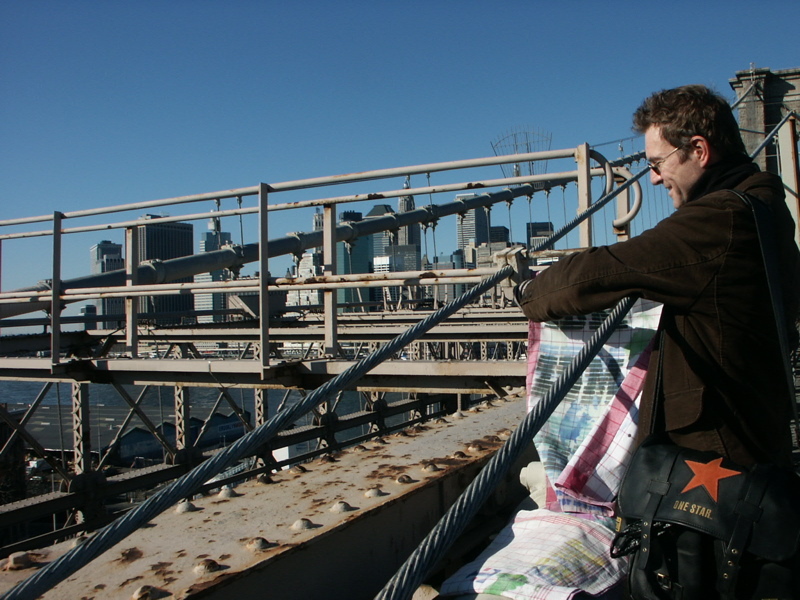 After having tested anonymous interaction processes with the streetart project „prague puzzles„, Joy developed the StreetArt project „WTT – world trade towels“ for New York City in december 2006. Joy had stencilled kitchen towels with the logos of the global economic players of today. Positioned at various symbolic places and landmarks all over Manhatten, Brooklyn and Bronx, the towels waited for finders, who would find and keep them for free. The project domain www.world-trade-towels.com was sprayed on each towel, giving the finders the ironic context and enabling them to connect with the artist. Joy repeated this highly interactive project in Barcelona 2007, in Zurich 2011 and Mumbai 2012.